Compared to previous generations children today are no longer encouraged to pick and play with wild flowers. A ‘look but don’t touch’ culture has developed in our over-cautious world. The wildflower charity Plantlife, through their Great British Wild Flower Hunt, is trying to do something about this. The Hunt started at Easter and goes on through the spring and summer. 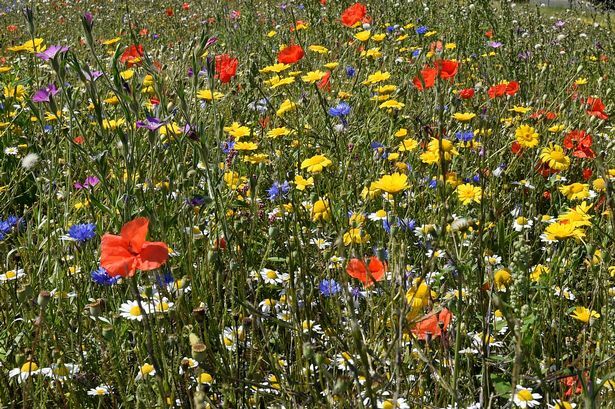 People are encouraged to hunt dozens of species of wild flowers, including twelve common species that may be picked. As part of the initiative they have produced a code of conduct to ensure that the plants and the places where they grow come to no harm. The twelve pickable plants include daisies, dandelions, cow parsley, primroses, red campion and meadowsweet. (I wonder why they prefer ‘cow parsley’ to the much more descriptive and attractive alternate name ‘Queen Anne’s lace’.) The simple eight point code of conduct covers legal constraints, reminds people not to trespass, or trample or uproot plants, and to collect no more than one in twenty blooms from large patches of flowers. Plantlife should be applauded for bringing common sense back into our relationship with nature. Too often now it is treated as if it were in a museum, too precious to touch or interact with. The names of common flowers have even been taken out of many children’s dictionaries. Rachel de Thame, Plantlife’s Vice-president, says ‘ What we know and love we are more likely to conserve. It’s about children starting a relationship with wild flowers. It’s in a child’s instinct to collect, but today that means collecting stickers, toys or those must-have gadgets. Yet it wasn’t so long ago that children were just as keen to collect wild flowers, whether it was to take a posy home, press them, or make petal perfume, they were part of children’s everyday life ’. Examining and understanding flowers brings a wealth of wonder to the curious child. From their intricate and infinitely variable structure, to the insects which forage amongst the petals for pollen and nectar, and the spiders which wait to ambush those insects, flowers are so much more than colourful adornments. Hopefully this initiative will mean that once again children will be bringing home posies for their mums and grandmas, or competing with each other to see who can make the best daisy-chain.